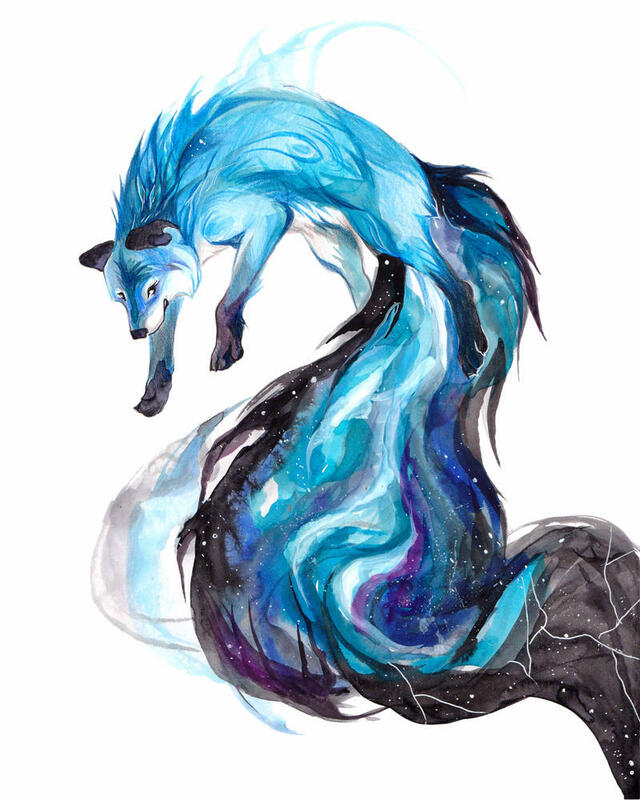 I am Katy Lipscomb, a fine artist primarily working in illustration, painting, and graphic design who is lucky enough to make this passion my profession. Now, I want to make art for you and with you on Patreon! Sign up now to get a little piece of metal art each month: a limited edition enamel pin! My Patreon page is aimed to be something that can be sustained year after year with the format evolving as time goes by. This means less reward tiers but more content that will be delivered monthly! I am starting with a Pin of the Month option that will hopefully grow into a few more tiers and options over time. Patreon is a crowdfunding platform; however instead of pledging to support one specific project or idea, you are helping to support an ongoing creation while also giving you inside-access to that creation. By becoming a monthly patron, you are not only showing your support for me as an artist, you are helping to give me the freedom to create and produce more artwork than ever before. I am sharing a long-time passion of mine: collectable enamel pins. I have been amassing pins ever since I was a little girl when my mother, an Olympian, took me to the 1996 Atlanta Olympics. After growing a sizable collection, I longed to make pins of my very own—and now, thanks to your amazing support, I have finally been able to make that dream a reality! My pins start inside my sketchbook and then become large-scale illustrations before being transformed into pin designs. I like to think that this special process helps each pin retain some of the unique life of the original drawing. 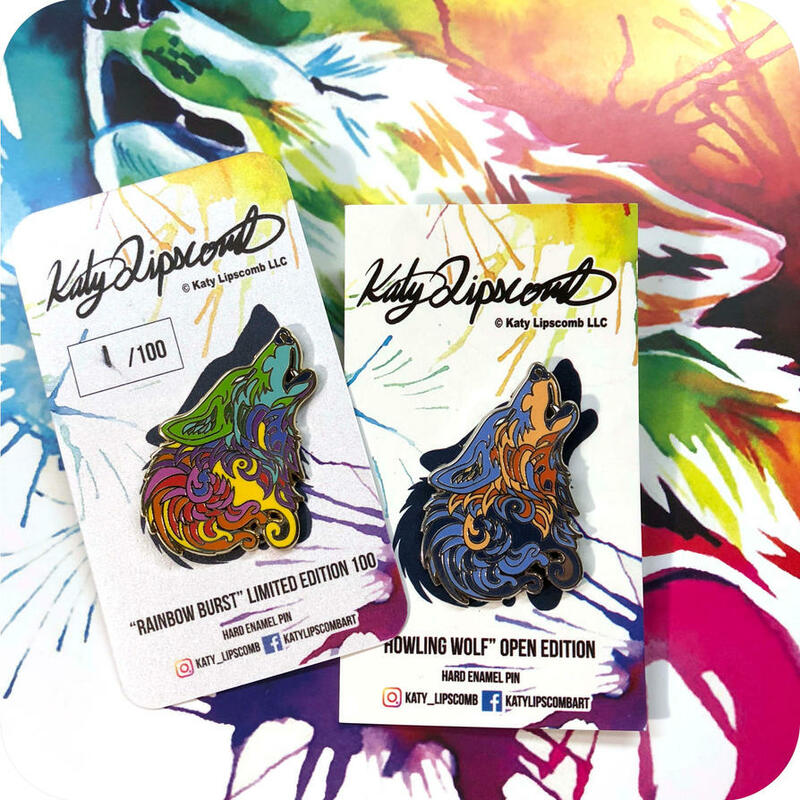 $1/month donation gets you access to an inside-look at my pin creation process, monthly updates about new designs, as well as exclusive product releases available for purchase before the general public. A $15* month pledge gets you access to the pin of the month. Along with all the benefits of the lower tier. Once a month you will be mailed an original, high-quality, enamel pin of my own design. *For international buyers, a $25 pledge is required to account for trackable shipping outside the United States and territories. Failure to select this higher amount may result in your spot being forfeited. During your first month’s membership as a pin of the month member ($15 for US/$25 for international), you will receive the current pin of the month AND a complimentary pin in your welcome package. You will receive both your pin of the month and your welcome package after your card on file is charged at the beginning of the following month. Most of my designs center around animals, nature, fantasy, myths and legends. I enjoy constellations and themes involving greenery, space, and small details. My work also tends to have swirling shapes and patterns. You can view my full portfolio here. 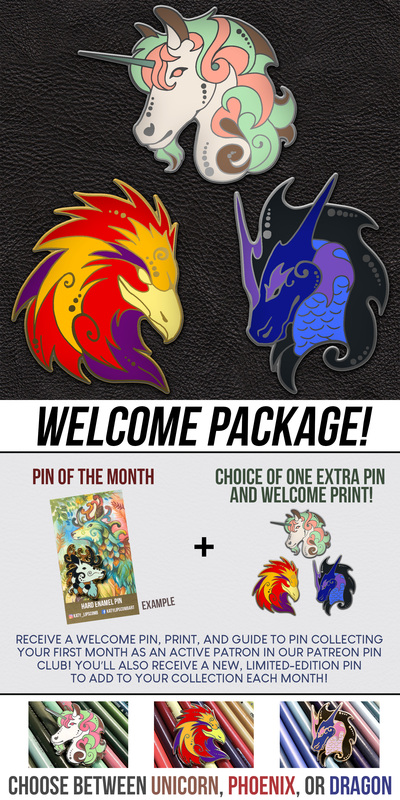 The monthly pin subscription provides exclusive pins at a significant discount given only to patrons. I tend to create intricate pins that are priced slightly higher than others on the market, because of the level of detail, additional packaging, and innovative processes. All pins in the monthly pin subscription will be limited edition based on the number of current members. Only after each patron has received their pin will the remaining pins be available on my website or at conventions at full retail price without the Patreon discount. Some months there may be no leftover pins, making them 100% Patreon-exclusive. Once these pins are made, they will never be remade with the Patreon exclusive colors again, and many may never be made again period. For example, if we have 48 patrons with a Limited Edition size of 50 pins, only two pins would be available for purchase to non-patrons. If we have 100 patrons, all 100 Limited Edition pins remain exclusive to the patrons of that month. Before we release any leftovers to the public, they will be available for purchase through Patreon to new Patrons or lower tier patrons without the discount. Other exclusive content includes a first look at upcoming pins, process sketches, videos, periodic updates, and more! How does subscribing and billing work? Patrons are charged at the beginning of each monthly cycle; usually the 1st or the 2nd of each month. You are not locked in by signing up for Patreon. You can cancel at any time, but do note that if you cancel or wish to “skip a month” you acknowledge that you may be forfeiting your spot for the following month if the membership is full. 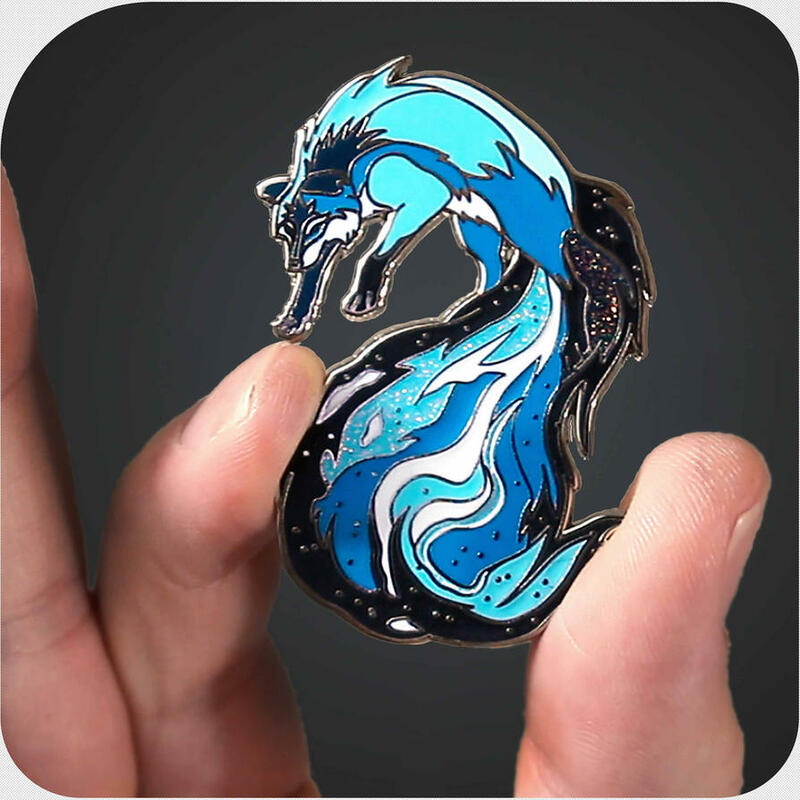 Pins will only be shipped after your card is charged at the 1st of the month and will require a few days of packaging and processing, with the goal of having all pins shipped by the 15th of each month. Please note that when signing up for Patreon, you are signing up for the next month's pin design and rewards. Teasers will be released at the end of each month so that current patrons can decide whether or not they want to stay subscribed for next month. Sign up today so we can begin collecting and creating together! Access to my Patron's-Only feed. Sketches, concepts, first access to new releases, and more! No physical reward shipped, but lots of cool content only available to supporters! Frequent discount codes and promotions for our store! One welcome package to be delivered with your first month's subscription! Can we reach 100 subscribers? If we can grow our group to over 100 monthly subscribers, every pin-level patron will receive an extra pin for free! This pin is separate from your pin-of-the-month and from the welcome package. This will be a complex design you won't want to miss! *Pins will be shipped out with the following month's reward tier.